I watched as she took her last, labored, yet finally peaceful, breath. My mother’s tumultuous fight with cancer was finally at an end. Was there something else we could have done, another avenue that we did not explore? For every fortunate human being, there arrives in life that one moment that defines the spirit and the soul and all it is intended to be. It is that moment in which we hope to offer those who know us a richer, fuller existence. We become our best selves during such moments, and nothing is ever the same. I looked into the sweet eyes, liquid pools of blue wonder, as my daughter’s innocent face searched mine. “What is cancer, Mommy? Is that why we talk to Nana in Heaven?” How do I explain the painful and frustrating journey to her, yet instill in her that there is some type of hope for others in the future? THIS is my moment, and it begins with thinking outside the box. “They always say time changes things, but you actually have to change them yourself” (Warhol, 1975). Thinking inside the box means accepting the status quo. These types of thinkers find it difficult to recognize the quality of an idea that is different from the societal norm and do not take the time to turn conventional ideas into great solutions. More importantly, in the box thinkers are adept at annihilating innovative ideas with defeatist attitudes. One must be willing to abolish emotional and intellectual boundaries dictated by their own familiarity in order to seek truly avant-garde answers. James R. “Rhio” O’Connor achieved this by obliterating the walls that attempted to confine him inside the cancer box. This spirited visionary was diagnosed with Mesothelioma, which is a rare form of cancer in which malignant (cancerous) cells develop in the mesothelium. The mesothelium is a protective lining that covers most of the body’s internal organs. It primarily encompasses the outer lining of the lungs and internal chest wall, but also occurs in the lining of the abdominal cavity and sac that surrounds the heart. Research finds that most people who develop this type of cancer have worked on jobs where they have inhaled asbestos particles (LiPera & Turkington, 2005)”. In all cases of mesothelioma, it is a death sentence. “Rhio” O’Connor was dealt an emotional blow upon his doctor’s diagnosis. “You have cancer.” Basically, he needed to pack for a trip from which he would not return. The same influx of emotions and questions were those which Rhio, my mother, and many others experience. Is it curable? How long do I have to live if it is NOT curable? How much will I suffer? What do I do now? What about my family? Have I accomplished the things that I wanted to accomplish? Most people would roll over and cry, then follow the box program of possible surgery, chemotherapy, radiation, and being sick, sick, sick. Typically the negative by products of steroids and loss of hair accompanies treatment, also. This type of medical care is successful for some forms of cancer, but Rhio did not want to accept this. In his case, a tumor formed that was too close to his spine for surgery, and the negative side-effects associated with chemotherapy and radiation would have only served to diminish the quality of life in the single year he was given to live. He decided to expand his arsenal of weapons in his fight to extend his life and to make it meaningful. He became determined to survive after learning of his circumstances, but also motivated others to take command of their adversity. His resolute attitude and alternative research lead him to live a rewarding life of seven quality years. His strength and perseverance gives us hope – hope against an enemy that is running rampant in society and ravaging our loved ones. His positive mental assertion proves that our body can be impacted by our mind and soul. His approach of thinking outside-the-box motivates us to pursue different avenues. His examination of the what, how, and whys of his cancer rallies us to do the same when met with our own hardships! Rhio embodied the theory to “Live like you were dying (McGraw, 2004)”. He used his personal experiences to enlighten others and help arm them in battle against this disease. 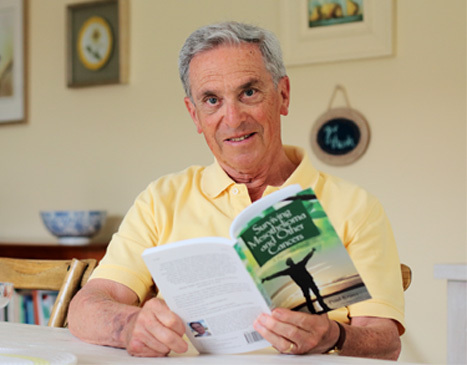 He wanted to leave a positive legacy, something to encourage others, so he wrote a book titled “They Said Months, I Chose Years: A Mesothelioma Survivor’s Story”. In it, he outlined his regimen of taking over one hundred daily supplements, exercise, and a well-balanced diet, combined with his perception of mind body medicine. He stated that healing is not one-size-fits-all. Mr. O’Connor spurs us not to be afraid of finding our own answers, or “our own size” (2008). It is a compilation of his revelations, his experiences, and his desire to give posterity a fighting chance that makes him such a pioneer. He completely epitomizes the characteristics of thinking outside-the-box: receptive to trying diverse solutions, innovative in understanding the value of finding new ideas and implementing them, and adoptive in incorporating others thoughts and ideas. It is for these many reasons that we choose to share and spread his message of hope. I, like so many others, was naïve when my mother was diagnosed with cancer. Doctors are blessed to be healers, to the best of their abilities. They are well-educated and primarily well-intentioned. However, they are not necessarily amenable to alternative methods. We thought that the doctors’ plans for Mom’s life were the best chance that she had, not knowing that we were being processed as if we were in a cancer line-up. Let us see what is contained in our little cancer box. Here you go, chemo, radiation, or surgery, for you, and you, and you. Get your affairs in order, go away on that trip you have dreamed about, contact hospice, and say your goodbyes. If only I had known about Rhio’s story and his belief in something greater than himself. But alas, just as his story was beginning, my mother’s was already painfully ending. They gave her a year, and even with radiation and chemotherapy, it was only eight months – not even quality months. If I could push that magic button to go back in time, I would be much more informed and able to conduct my own educational research. With so many venues available, I would explore the internet and its many facets of information. I would investigate different medical facilities, both homeopathic and conventional. I would scrutinize files and stories of survivors and what commonality of health practices that they pursued…..was there a link? I would emphasize to my mom that her fighting spirit could positively impact her physical health – do not give up, Mom! We can think outside of that proverbial box, too! Today, it is with this renewed strength and courage that I am able to look back into my daughter’s eyes and explain the trials and tribulations of my mother’s lost battle with cancer, and why we have promise for the future. It is the inspiration that I have drawn from Rhio O’Connor that gives me optimistic fortitude to face whatever plights and status quo answers that someone tries to keep contained in my box. McGraw, T. (2004). Live like you were dying. Nashville, TN: Curb Records. O’Connor, J.R., (2008). 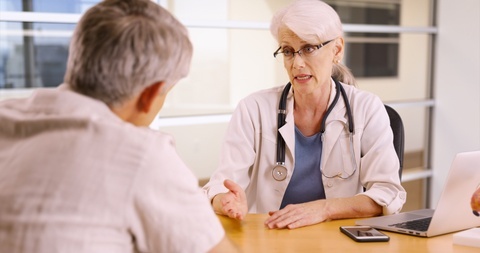 They said months, I chose years: a mesothelioma survivor’s story. North Carolina: Cancer Monthly. Turkington, C., & LiPera, W. (2005). The encyclopedia of cancer. Facts on File Library of Health and Living. New York: Facts on File. Warhol, A. (1975). The philosophy of Andy Warhol: From A to B and back again. New York: Harcourt Brace Jovanovich.